When it comes to getting a web design up and running which works wonders both for you and your visitors, there’s hardly a better place to start than with WordPress. 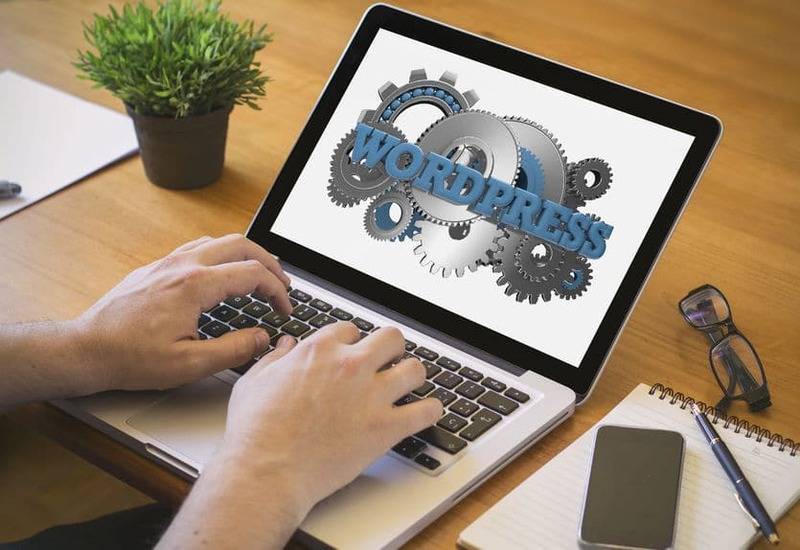 WordPress has very quickly become the go-to platform for those who look to build their own web presences up from scratch and under their own steam. It’s super easy to get started – and with a massive range of features and options available for you to tweak and manage your own site at your leisure, it’s hardly surprising that this is an engine which continues to find itself more and more fans. However, it should never be overlooked as a more sophisticated or advanced platform for larger businesses, either. In our experience, mid-sized companies stand to get the best value out of WordPress – it’s no longer just the go-to engine for the home-based web-builders or for the solo entrepreneurs. We actively encourage medium enterprises to consider WordPress as one of the primary options in web design – after all, its incredible scope shouldn’t ever be denied – and it has a wealth of flexibility to take advantage of should you wish to really go all out on building a bespoke site. WordPress is hugely popular and is super easy to use from a visitor’s perspective. All of the tools and facets are here on display – responsive design to allow for your site to morph from device to device, a stack of fantastic UI features and all of the bells and whistles which are making even the biggest websites tick. There are big name brands out there that are taking advantage of WordPress – so why shouldn’t you? There’s more to WordPress than the free model – take a close look at some of the premium themes and services to learn more. WordPress is fantastic for SEO. Built-in modules and features allow for you to actively tweak and modify your web content as you go. Services such as Yoast make our lives particularly easy – it’s also a great tool to help you learn about what works best as far as optimisation is concerned. Managing your own SEO has never been easier, nor more fun. There’s tons to be said for WordPress’ fantastic scalable features and interface design. This system, which has been around for considerable years, offers a huge amount of scope when it comes to morphing your site from device to device. This is a platform which will prepare you and your site for the mobile revolution – there’s no need for separate mobile sites or apps here – just take a look at some of the sample sites set up on WordPress to see just how amazingly flexible it is! Security also comes as standard. Critics of WordPress are quick to advise that maintaining security and updating plugins can be a chore – but is it really so much hassle when you at least get the guarantee of a flexible, great-looking site that entices visitors and more than provides you with the control and flexibility you need from a web presence? Security plugins and visitor protection will leave you with a more than golden reputation – protecting your visitors at every hurdle just makes sense. Take it from us – we’re proud of what we can offer customers and clients through WordPress, and we’re excited to see what bespoke creations we can help future customers build. If you have a specific look or design in mind, you can bring it to life through WordPress – with a minimum of effort! Don’t ever dismiss it as a solution simply for entrepreneurs and small startups – your mid-sized business will benefit hugely, too.